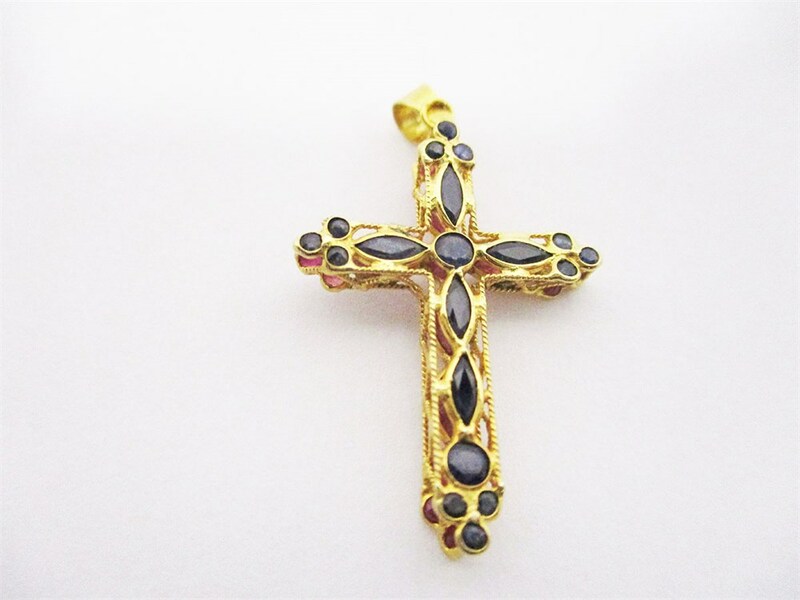 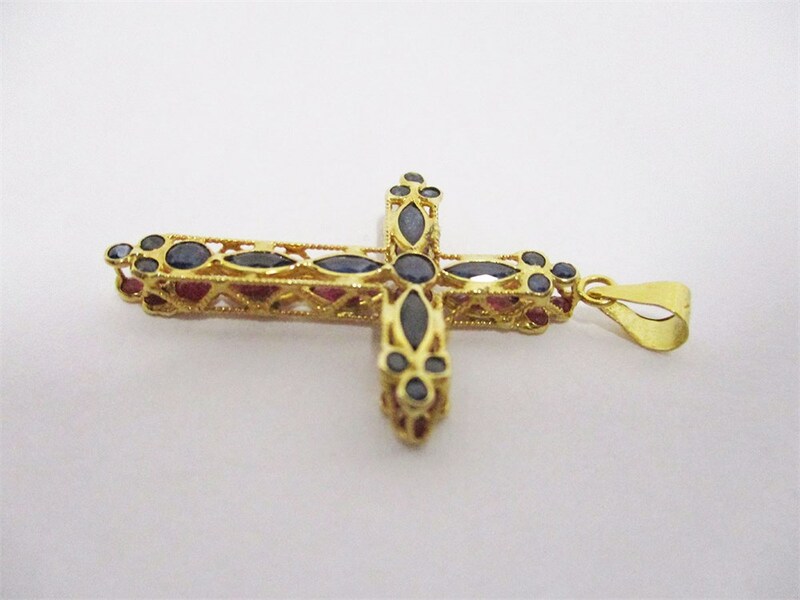 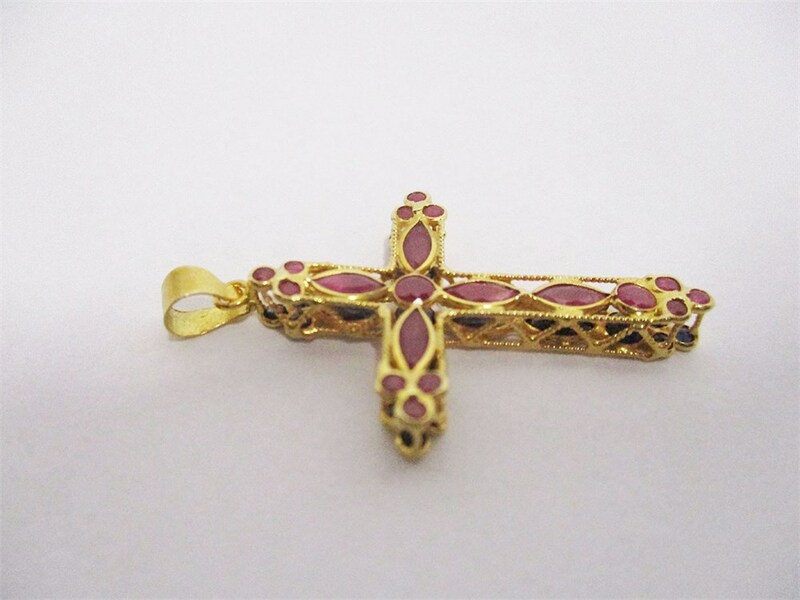 This cross is delicately made of 18K yellow gold, with rubies set on one side and sapphires set on the other. The oblong stones measure approximately 4mm x 2mm; the round stones measure approximately 3mm. 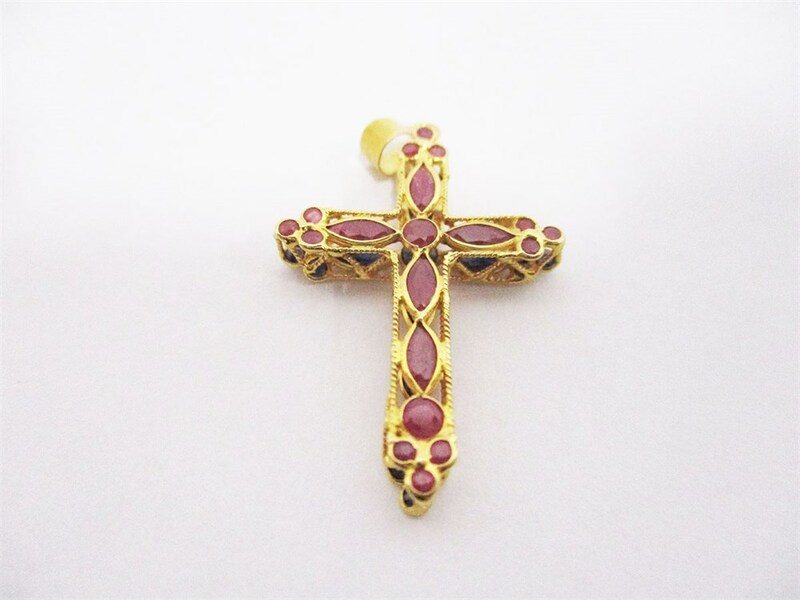 Approximate total weight is 2g.